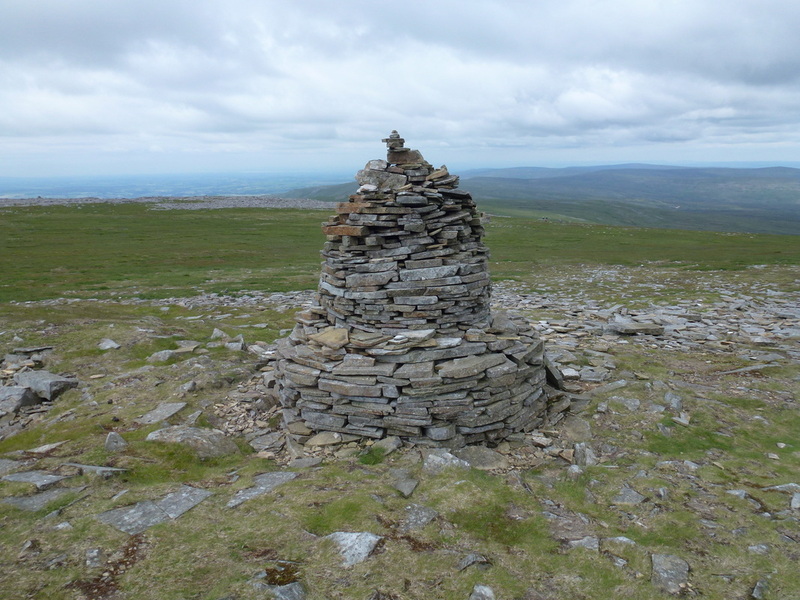 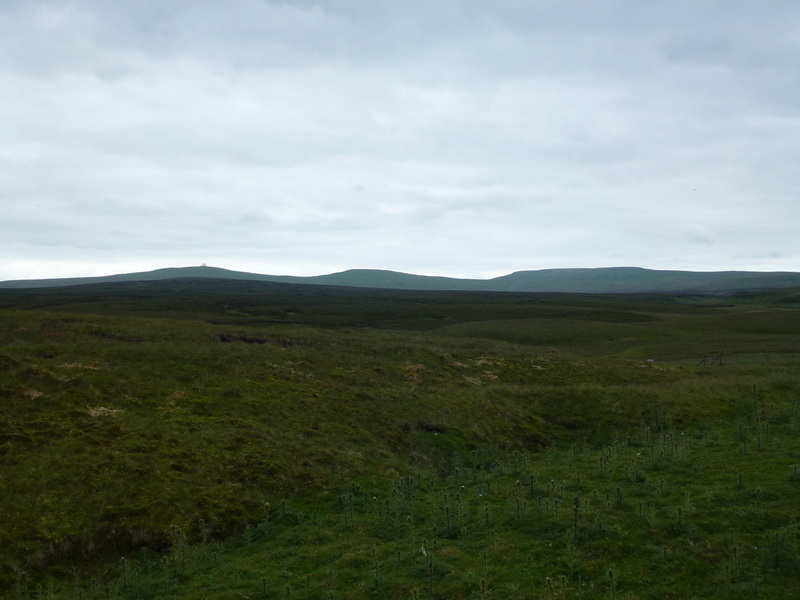 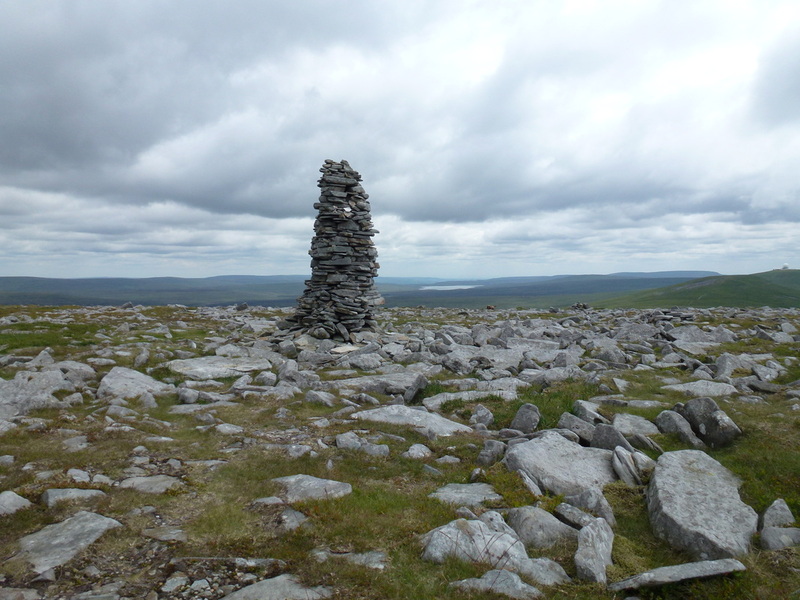 ​A long drive out to Garrigill from Barnard Castle in order to do a section of the Pennine Way via Cross Fell to just South of Great Dun Fell and return via Tynehead and the South Tyne Trail. 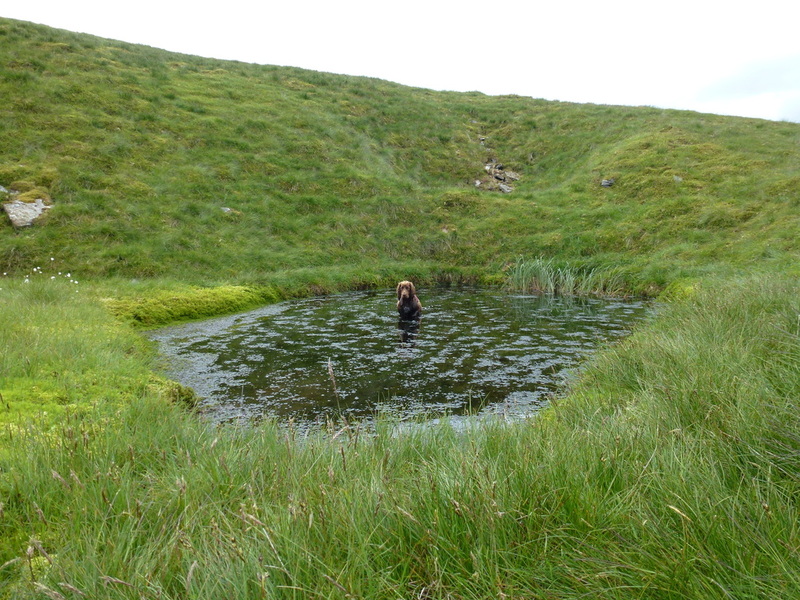 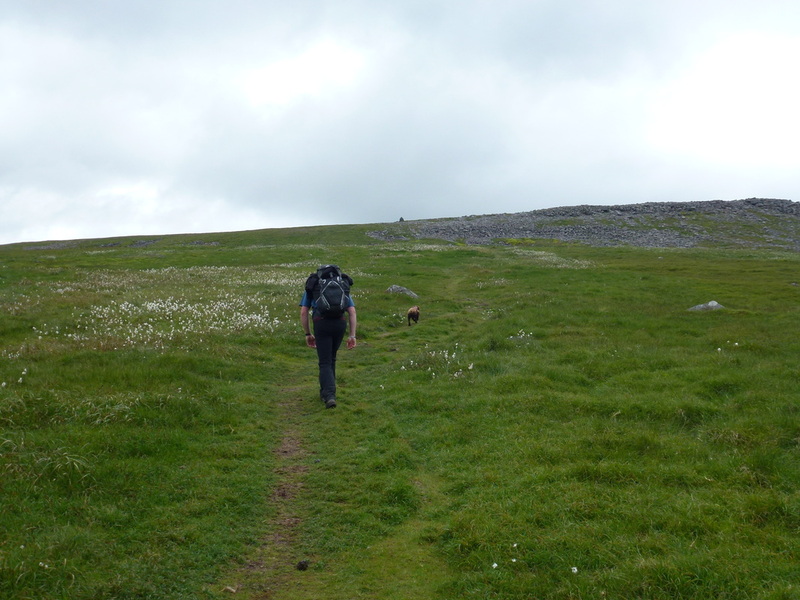 This was to be a fairly long walk over what can be an inhospitable area if the weather is bad. 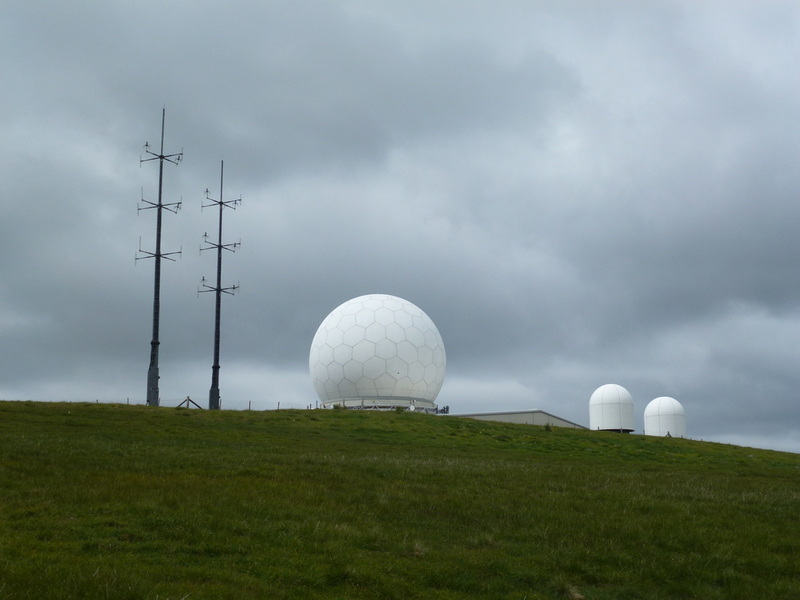 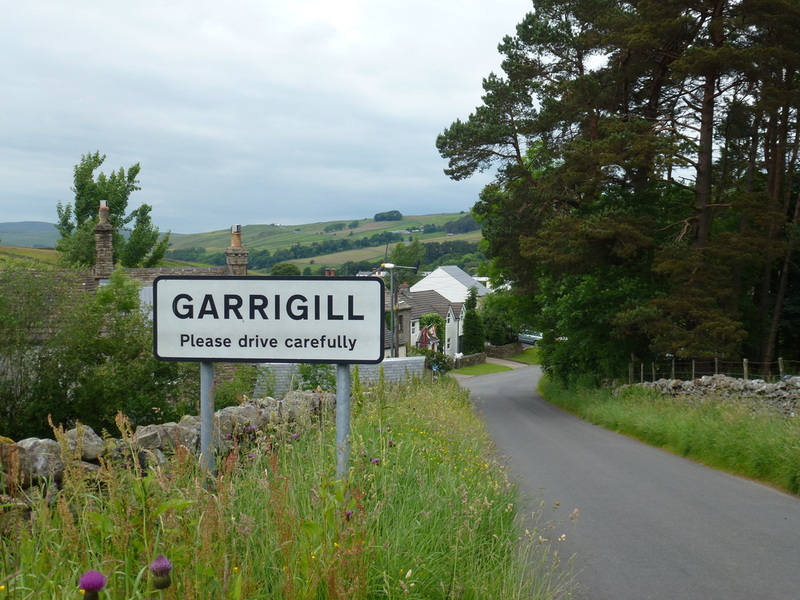 Lucky for us we just had to put up with an overcast day although the weather was fairly pleasant as we left Garrigill. 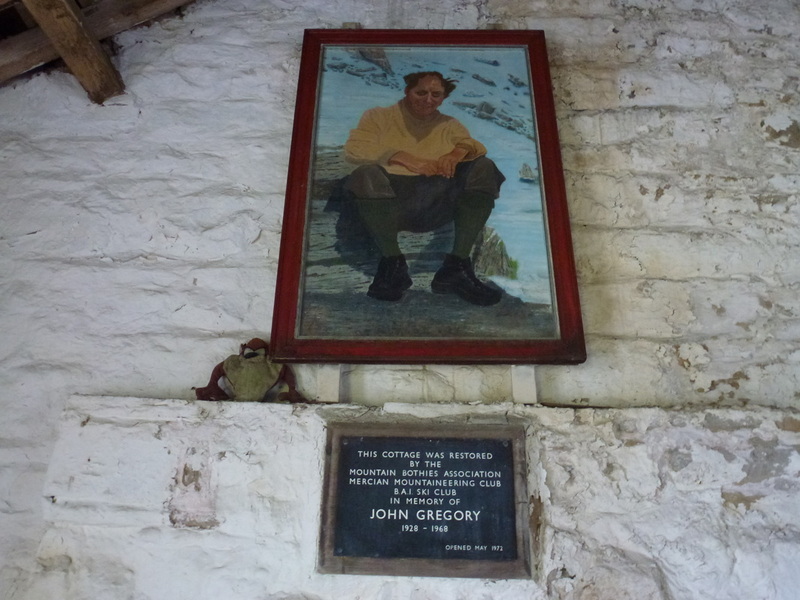 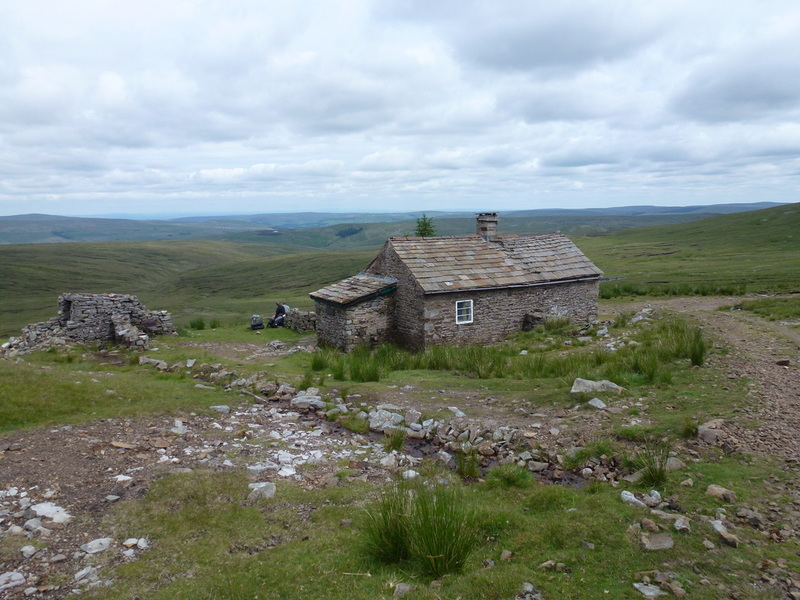 The path out of Garrigill is long and undulating on a good track and passes through old mine works and after a few miles reaches the remote mountain bothy of Greg's Hut - this facility is maintained by The Mountain Bothies Association and provides for basic shelter for walkers on the Pennine Way and other such walks. 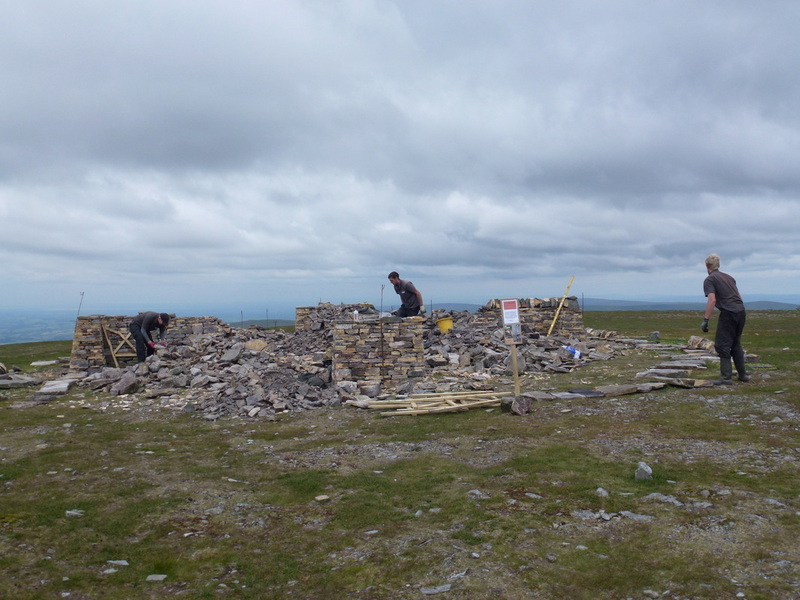 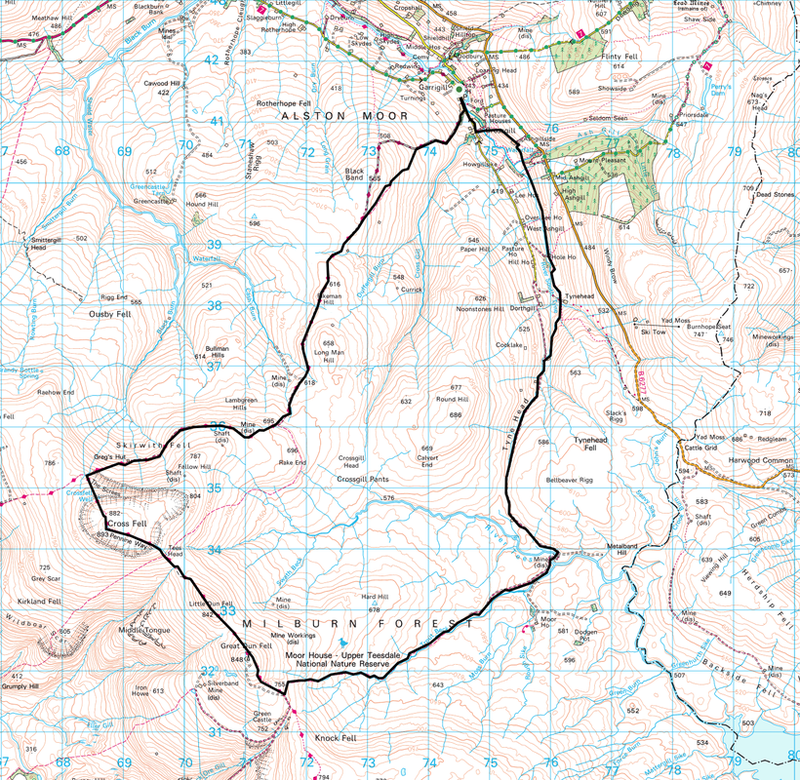 Shortly after the bothy, the Pennine Way turns up to Cross Fell which is well cairned and is reached fairly soon after the turning. 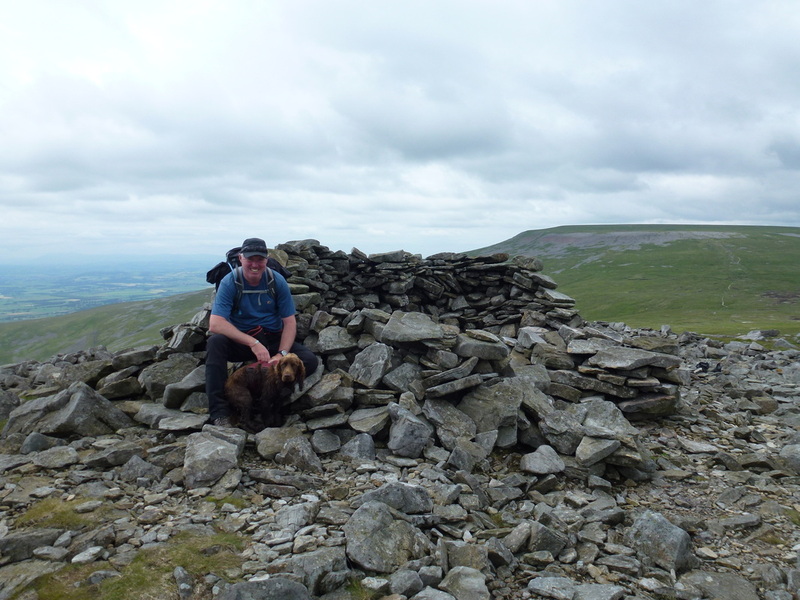 Up on the top it is easy to see how confusing it could be to navigate off the fell in mist as the summit is a very large and flat plateau. 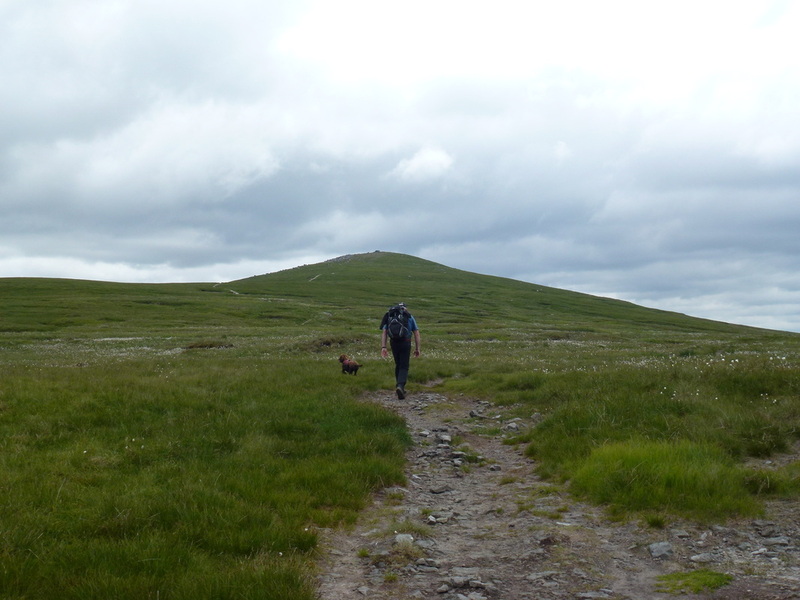 Cross Fell is the highest point in England outside of the Lake District and today we were lucky to have no rain and good visibility. 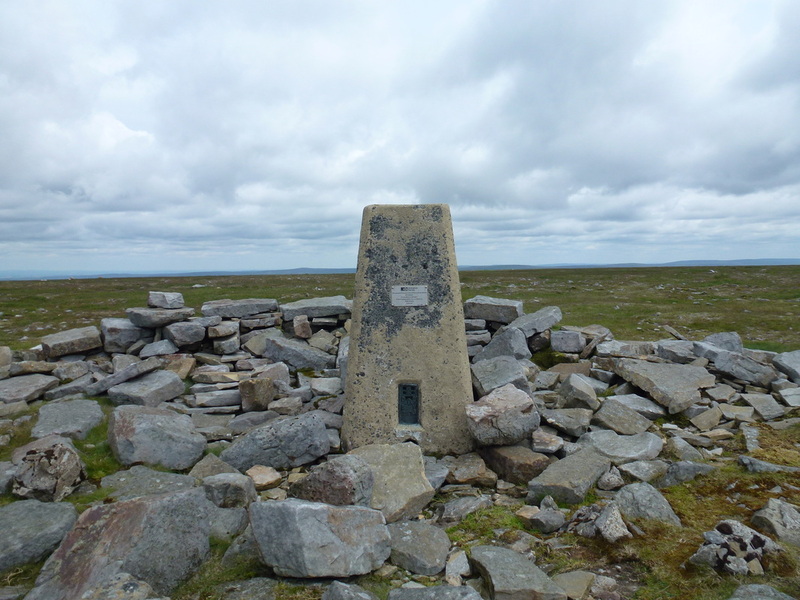 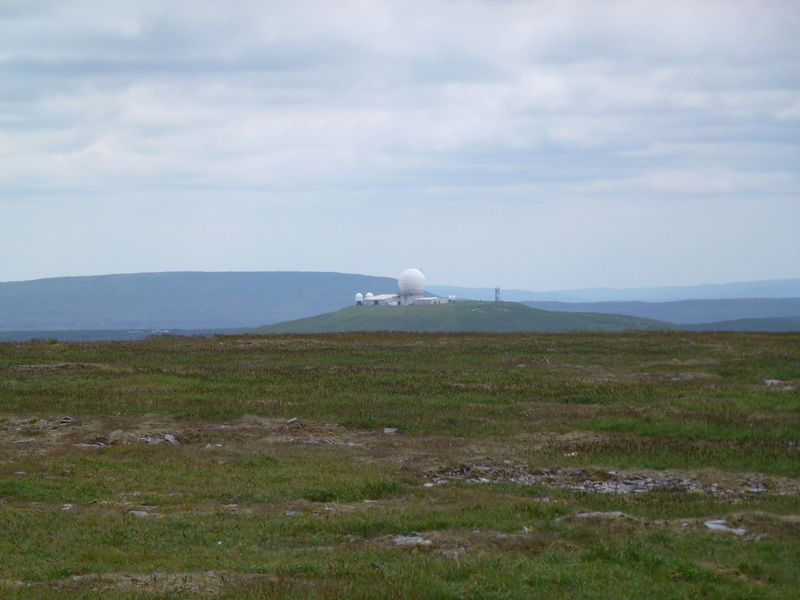 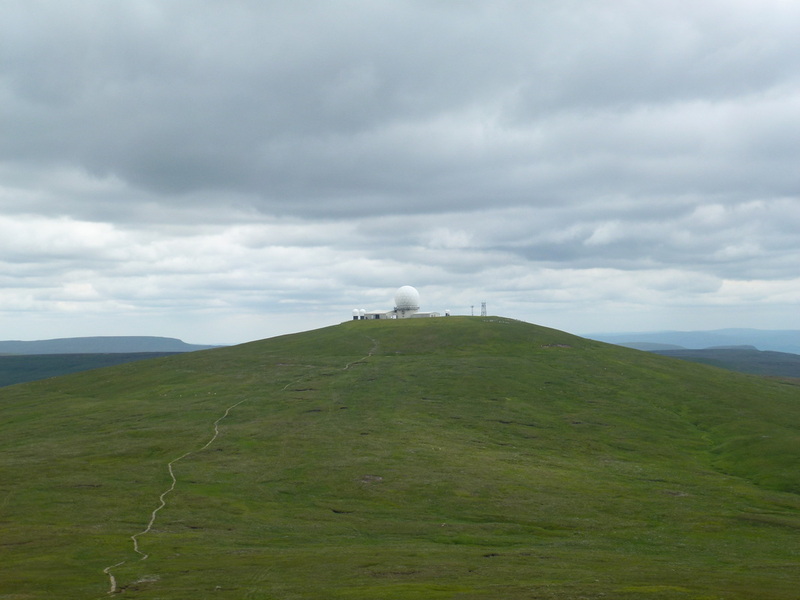 We made our way South East on a well cairned path over Little Dun Fell towards the CAA Radar Station on Great Dun Fell and down to the junction of paths where we headed East down Trout Beck along a sometimes boggy but beautiful path through the Moor House Nature Reserve. 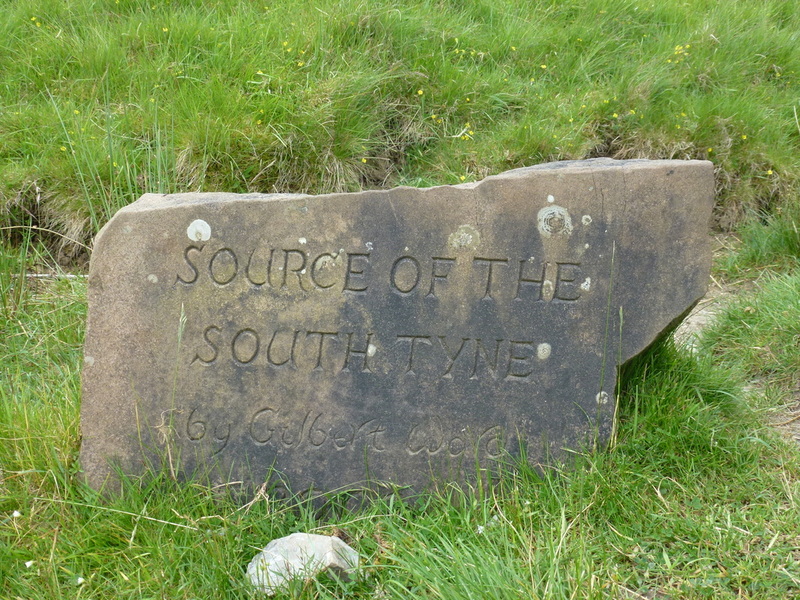 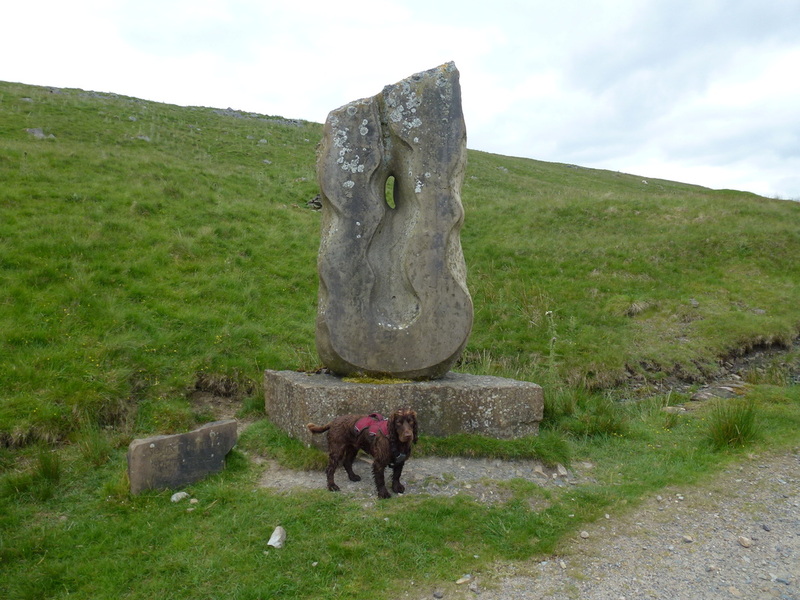 The route then heads north to Tynehead and passes the source of the South Tyne River which is marked by a sculpture on the side of the path. 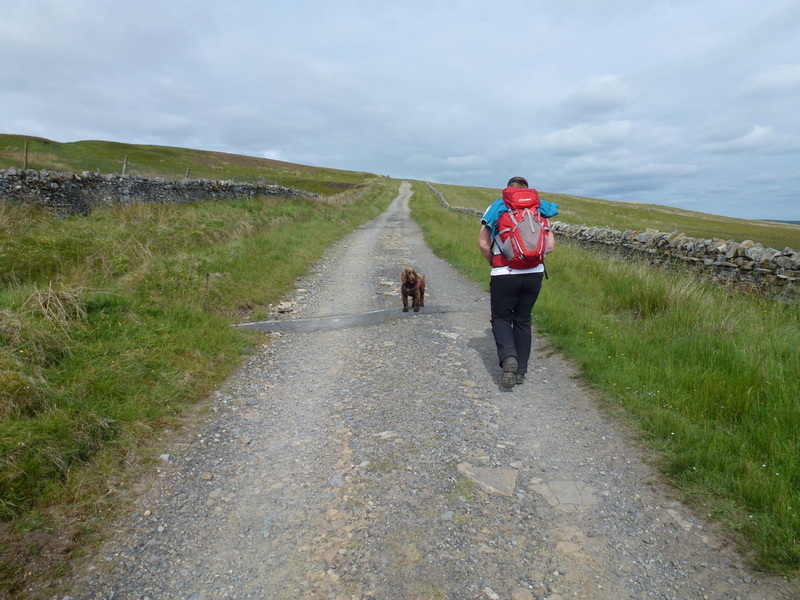 At Tynehead, the path joins the South Tyne Trail but is overgrown in parts and therefore slowed down our progress somewhat. 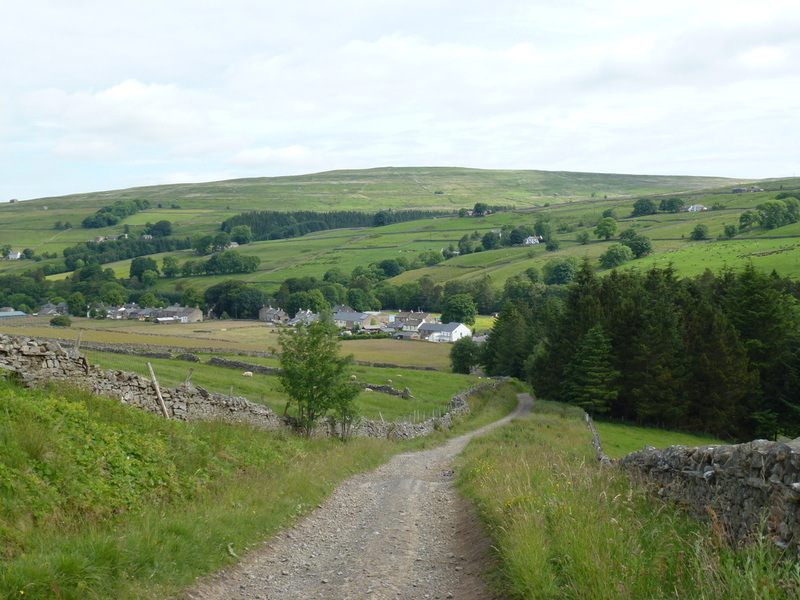 We then joined the road at Crossgill and made our descent back into Garrigill. 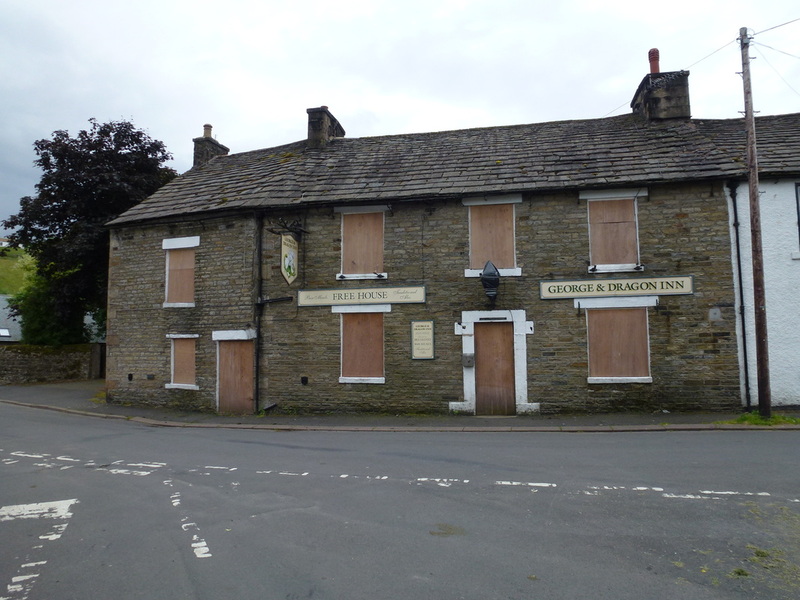 The pub in the village is unfortunately closed - a sign of the times and it is hoped that new owners can be found in order to provide a welcome drink for day walkers and those on The Pennine Way. 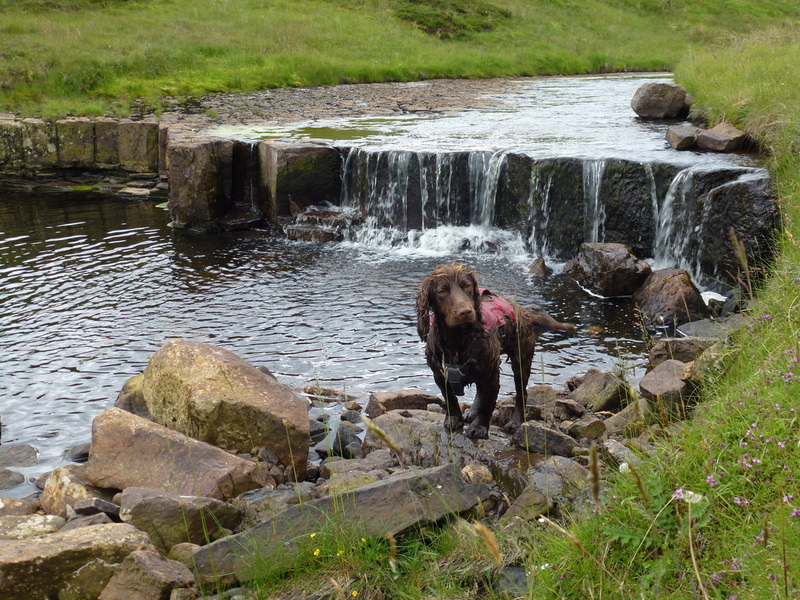 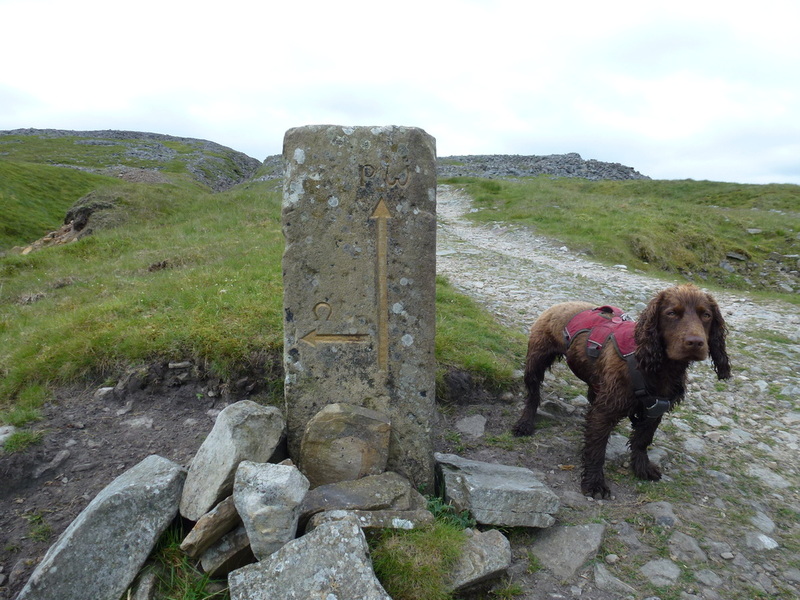 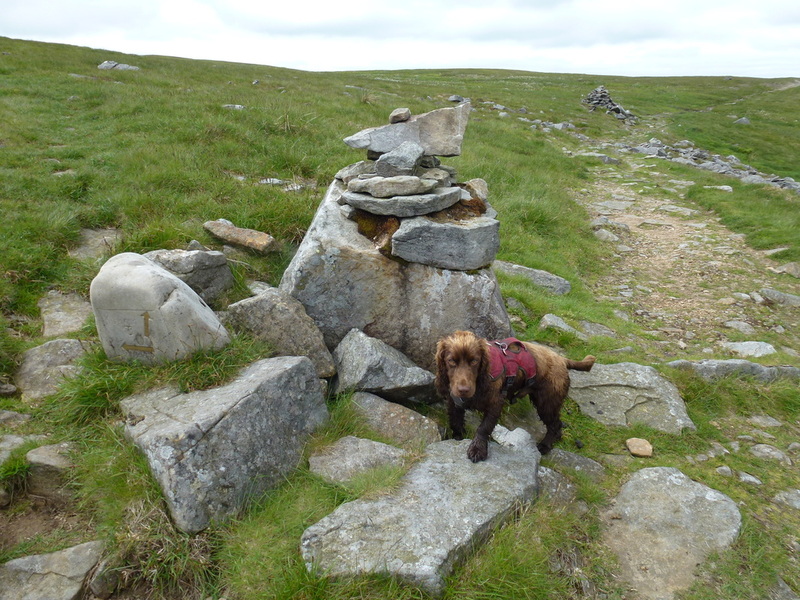 This was a long walk but thoroughly enjoyable in a very remote part of the Pennines.